Tories got 16.5% in 2010 and some polls have put them on 17 and 18% though many have put them on 13 to 14%. If the Tories do poll 17 to 18% in Scotland their vote could rise here to 35% with other unionist votes but the SNP could rise to 50 to 55%. I am not saying (never have said) that the SNP vote will drop here. I think that both SNP and Con will rise and it is just a case of who rises the most. This is no wishful Tory thinking it is just my perception of how the statistics will work out in this seat. I am not known for brash optimism although I admit that I am somewhat of a Tory. Sorry I meant Steve not Simon. It is inconceivable to me that the Tory vote could rise across Scotland, given that there will be some Tories tactically voting Labour in many seats and, in a few, LD. @James The local paper is the Perthshire Advertiser…ask a local and you’ll be reminded the Courier is a Dundee paper! It’s irrelevant whether the tory vote rises or falls across scotland generally as they need any rises to occur in specific seats. Of course it’s relevant. Winning the popular vote nationally in a close election could be crucial in deciding who gets first crack at forming a coalition. Plus there’s little reason why the Tory vote should rise here specifically. It’s a very safe SNP seat in the context of 2015 so no reason why (remaining) Lab or LD voters need to vote tactically. I’d be extremely surprised if SNP weren’t above 50% here. HH – the PM gets first go as incumbent. Yes but if he’s somewhat behind on the popular vote, but close to equal on seats, he loses a lot of moral authority. There isn’t really such a thing as first crack. There are results (such as 2010) where there’s only 1 realistic contender, but if the two main parties finish in a way in which both of them can govern, then they will both be talking to the relevant minor parties at the same time. It generally only becomes apparent that the Tories can’t form a Government at the same time as Labour have everything pretty much lined up, and vice versa. I think the tory vote nationally (by which I mean Scotland) is irrelevant as they have little hope of winning a large number of seats. However, they have a real hope of winning in the 3 borders seats and perhaps in future elections in areas such as this one. They don’t have little hope, they have no hope of winning a large number of seats. If they do exceptionally well they might get 5 seats and that is really pushing it. If anybody thinks the Conservatives have a chance in Perthshire just look at the size of the SNP majorities in the two Perthshire Holyrood seats in 2011. I really don’t see the result here in 2015 being much different. Dalek, bear in mind that Holyrood used to vote very differently from comparable seats in Westminster in terms of popular vote. Granted likely not the case this time. The difference this time is that many people who previously voted SNP as a protest but are unionists will be very reluctant to do so again, but they are hugely offset by the number of people who have converted to Nationalism or at least have been Nationalists but previously voted for unionist parties who will now vote SNP. SNP can easily now take advantage of Unionists who are split and cannot align behind a unionist candidate due to their party baggage. I for example as one of only 5 or so 🙂 Tory voters North of The borders and in a seat where Labour are likely the best chance of beating the SNP still cannot bring myself to do it. I suggested in another post that the other parties really need to get their act together going forward whether that means breaking with their UK parties, rebranding or jointly putting forward candidates (eg Liberal Unionist etc etc). Failure to take action will result in the decline into the breakup of the Union. @ Lesser – what? “Failure to take action will result in the decline into the breakup of the Union.” – I’d predict Aberdeen South being closely fought between the SNP & Labour, but in my mind it’ll be a Labour hold. If you really want a Unionist candidate and don’t want the breakup of the Union as a result of an SNP MP being elected in your constituency then if I were you I’d consider voting Labour for May given that the Tories realistically cannot win Aberdeen South. It was a closely fought seat BEFORE 1997, and as such I don’t think it’ll hop back to the Tories anytime soon – if this were to happen it would hypothetically require the Tories to take along the lines of 7-10 MP’s, which is very wishful thinking under the current boundary arrangement and based on what opinion polls are suggesting at the moment. I think it’s a little unreasonable to put the Tories down in share of vote, but then again there’s always the underestimated support for UKIP which could nibble away at the Tory vote slightly. Those ranges don’t add up to 100%. Not even close. I really would take the YouGov nowcasts with a bucket load of salt. I think Wishart will do very well here on the back of national SNP support but his ceiling is possibly around 52% of the vote because he hasn’t gone out of his way to attract more unionist voters and United Against Separation has been pretty active in Perth. I believe this seat voted 57% NO with the strongest no area in Perth and Kinross being around Kinross. That said I would like to see a closer result than what I am predicting I.e realistically Wishart’s majority being held to 10% even though I support Lab overall. Good to see you back Alexander. @ A Brown – Is that your own assumption that the area voted 57% No? I thought Kinross would have had a higher % Yes given the SNP’s success in that area and that North Perth would’ve similarly had a higher % Yes effectively balancing the two constituencies. My original assumption would’ve been that the southern constituency had a slightly higher No vote (maybe 61-39 v. North’s 59-41) but revised these figures as the Tories have generally done better in the north (10% higher vote share). Also the notional results for the southern seat for 1992 was a Labour gain! I’m sure I saw that figure somewhere such as on the vote UK forum and people mentioning on twitter that Milnathort was 70% no yesterday. @ A Brown – Okay, thanks! So that would mean a No vote of 63% for Ochil & South Perthshire? That’s far too low, given that Clackmannanshire was 47% Yes. @ Simon – Oh sorry, I thought it was all contained within the Perth & Kinross council area. 57% for Perth & North Perthshire would mean a No of 65% for the remaining part of Perthshire. That would give the constituency a No of something like 56%. I travel to Perth from Aberdeen twice a week. While there is a distinct lack of posters this election, the only ones I have seen have been SNP, no other parties that I have seen at all. Not scientific, but you normally see a couple of Tory ones in fields and Labour as you drive through Dundee. @NTYUK – I couldn’t bring myself to vote Labour to keep out the SNP in my seat. If the LD’s had a shout then possibly could vote for them. The other reason for not tactically voting is that it generally works against CON with very few tactical voters willing to switch to CON. It therefore lowers the share of the popular vote and gives other parties credence to their statement that CON is dead in Scotland. Then again, if poster counting was meaningful, Scotland would have been independent for a number of decades now. The SNP are always better at getting posters up even in areas that are difficult for them. In my seat it was always th LD’s who had the most posters up, particularly the more affluent Milltimber, Bieldside and Cults. Don’t know if there is more fear of putting them up with the unionists now after the abuse going round following Indy ref, but then if other threads are an indication there seems to be less across the UK. James, those figs are not meant to add to a hundred. I think it’s based on the chance of each party in isolation getting a total within that range. Regarding posters put up by that key sector of the electorate (ie. lampposts) the lampposts in my constituency (East Dunbartonshire) are usually well-decorated by this stage in an election campaign. Strangely the lampposts in my part of the constituency remain totally undecorated. I haven’t spotted a single lamppost with any posters. I wonder why this is. Are there new regulations protecting lampposts or something? There also appears to be a dearth of political advertising on large billboards compared to previous elections. I could be completely wrong but I thought that local authorities decided whether parties were allowed to poster lamp posts. Many years ago I remember going along the Birmingham New Road / Hagley Road and you knew exactly when you had crossed the boundary into Brum proper because the previously undecorated Sandwell lamp posts were superceded by Birmingham lamp posts bedecked in red and blue. Regarding the decoration of lamp-posts, it is correct that local authorities decide whether lamppost decorating is permitted. Here in Falkirk District where we have two (one and a half) constituencies, lamppost decorating has been outlawed by the Labour-Tory coalition since the late 2000s as a result of the Eric Joyce scandals. It worked for them and kept labour afloat in the area, as very few laypeople were aware of his shenanigans until his expulsion from the Labour party brought local and national media attention. So yes, it is the decision of the local authority. This may or may not be correct but from what I’ve seen, it seems lamppost decorating is more likely to be outlawed if the incumbent is threatened and has party control of the local authority, as in Falkirk, East Dunbartonshire, etc. Interesting poll from the Perth edition of the Courier saying 10% of 2010 SNP voters will vote Scottish Conservative at this election. Perhaps a slightly larger share still in rural right of centre constituencies, but even at a lower share, still a respectable figure. I did find a number of such voters when campaigning in Perth over the weekend, but as Perth is not the best part of the constituency, there were perhaps fewer than can be found elsewhere. Interestingly, both Forward Together, and the Labour activists we met suggested a sizable number of their 2010 haul had defected to the Conservatives to keep out the SNP. Though I expect more will now go to the Nationalists, this could limit the swing in their direction. 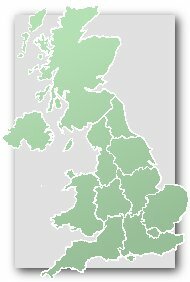 I am pretty certain it is mentioned upthread, and I have had others tell me that polling in SNP;/Con marginals, the same percentage share of Labour voters are tactically backing the Conservatives as are voting SNP, and more helpfully twice as many 2010 Lib Dems are backing the Conservatives as SNP. Against this are national polls and the evidence of how former Lib Dems voted in 2011. Perhaps the referendum, the lack of fear of Labour in Holyrood, and the leftwards shift of the SNP will change their minds. Could be close, but refuse to get excited or to make predictions that go against national polls. The SNP could possibly see a squeeze on the rural centre right, particularly due to their controversial land reform plans in the Scottish Government, but the swing to them in built up areas will more than offset that here I think. Tories should poll respectably but unless there is considerable tactical voting from LAB and LD should see SNP home comfortably. That report in the Courier was a quote from Ruth Davidson, citing the last full Scottish poll by YouGov (link below). It’s true enough that nearly 10% of 2010 SNP voters are intending to vote Tory (8% in fact), and this is by far the biggest group of 2010 SNP voters moving elsewhere. The problem with this idea is that, according to the same poll, 14% of 2010 Con voters are now intending to vote SNP! So basically the two movements more or less cancel each other out. @MarcusBuist – I know you were active in this seat, and now the results are all in, I just wondered how you felt the campaign had gone for you? Worth saying that the Perth & Kinross Conservatives prefer to focus on local issues, rather than national policies, which as a campaign tactic might have had an impact. Obviously delighted to add over 3000 voters to our 2010 total, but I might have hoped that we’d have a little more than that. Despite this, we didn’t expect to win, but did think the majority would be way down. I didn’t imagine the SNP could bring up their vote by that margin at thought 21,000 would be their peak. A great deal of work to convince the large number of centrist and centre-right Unionist voters who backed the SNP to come over, but encouraging to see the Conservatives can still find significant numbers of new voters to back them. I think Cllr Stewart was a good candidate, and I’d hope to see him either stand at the next WM GE or for the equivalent SP seat, though I think he’d leave the latter to Liz Smith MSP. Thanks for the reply Marcus – always interesting to hear how things went on the ground! One of the better Tory results in Scotland in terms of vote share but they nevertheless remain a long way from winning the seat. Unless the SNP really come a cropper, only the Rox & Berwicks seat looks in range next time – D&G at a pinch. Indeed but it looks like it would need either a big drop in SNP popularity or lots of Labour tactical votes – the latter seem a bit unlikely on recent form. could the Tories be in range here? In the event the bubble burst I expect the SNP would hold up better here, where they have held the seat since 1995, than in other theoretically safer seats. Though of course until 2015 Wishart never had a comfortable majority, and it is true that the SNP have historically benefited from a badly split unionist vote that is now much less split with the problems Labour and the Lib Dems have had. Conservative Gain from SNP in a Council By-election here. The councillor who passed away was elected as a Conservative and became an Independent. Technically this is a Conservative hold but the SNP may have had more votes and councillors in the ward and hence the Conservatives have done well to “hold” the by election. This reminds me of by elections a few years ago where an SNP councillor would pass away in a ward that was Lab 2/ SNP 1 for example and the Labour Party would win despite a swing to the SNP. The Tories required a large swing to just hold this by election seat because to win a by election. This is because a party with 2 of 3 seats in a ward (67% of the seats) can win 100% of the seats in a by election because by elections are based on a plurality of the vote in the whole ward and not the proportional representation that formed the basis of the local elections.